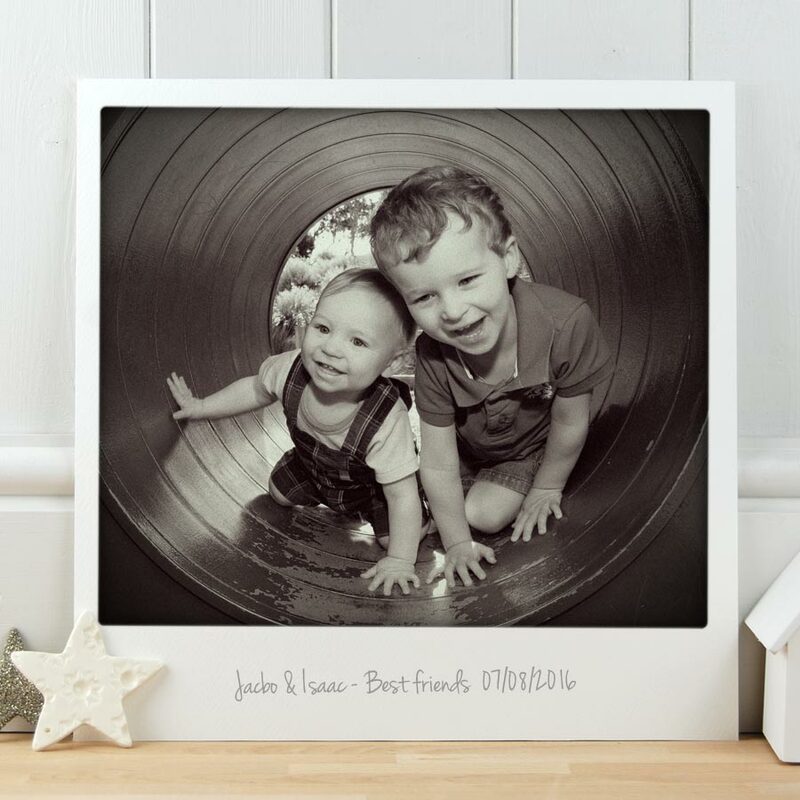 Capture a special Children’s moment with this large personalised Polaroid print (size: 32cm x 32cm). Upload your favourite photo and we will transform it into a stunning vintage polaroid style print. Giclee printed on 300gm acid free off-white Artists watercolour paper. Can be supplied as a print or professionally framed (+€25). You can choose vintage colour, vintage Black & white, or keep the original colour and you can add a personalised message or date to the bottom of the print. Can be left blank if you prefer. If you would like a proof emailed to you, please let us know, we can make minor adjustments if necessary. (Framed): 35cm x 35cm (12.5” x 12.5”).